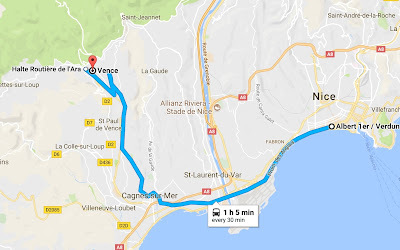 Getting to Vence is both economical and enjoyable via #400 or #94 bus stop Albert 1er in Nice. 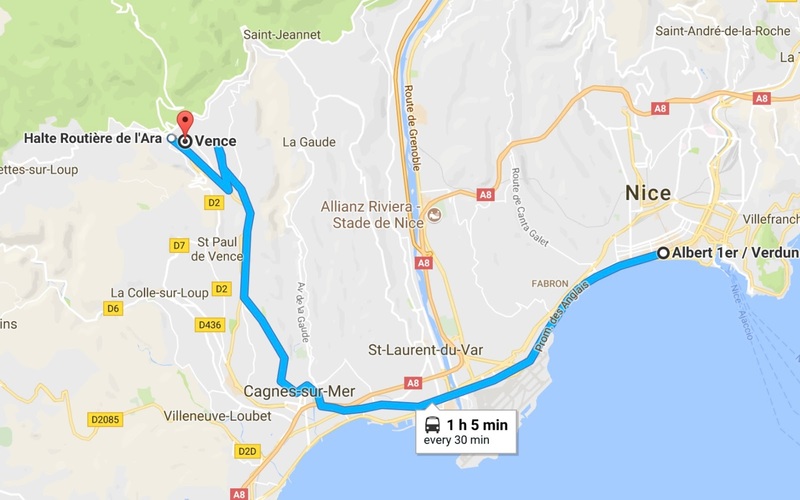 The journey (one way) takes about sixty minutes. 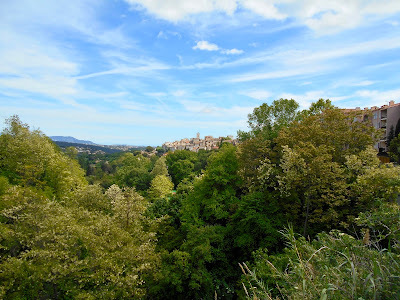 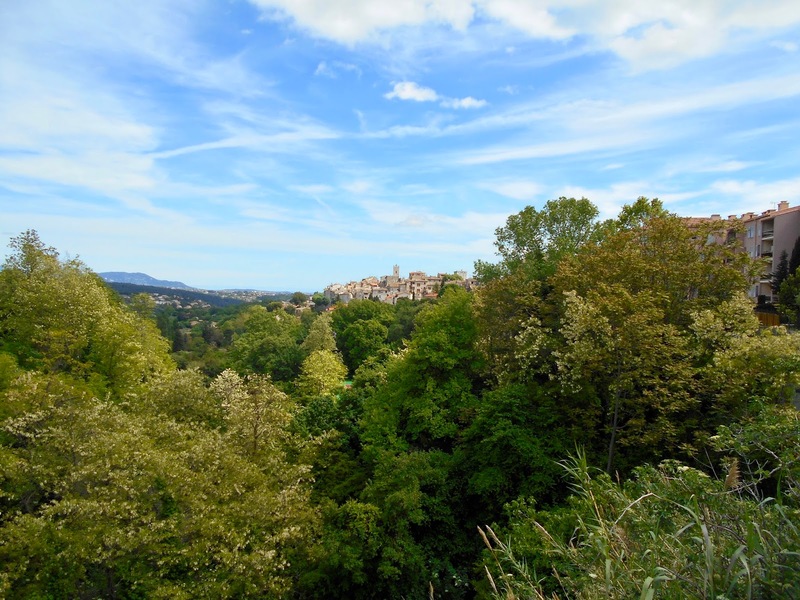 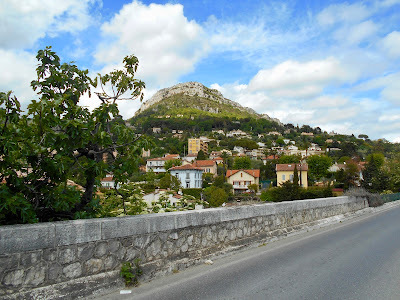 From the central bus stop in Vence it is an easy and scenic walk to the Chapel. The museum for the Chapel is set up in the red roofed building above. 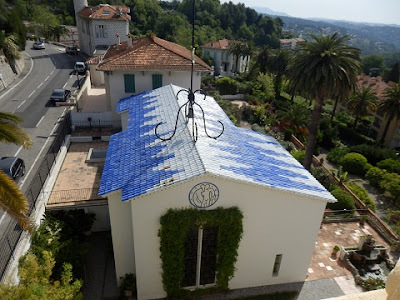 After viewing the exhibits one moves into the chapel (white with blue roof). 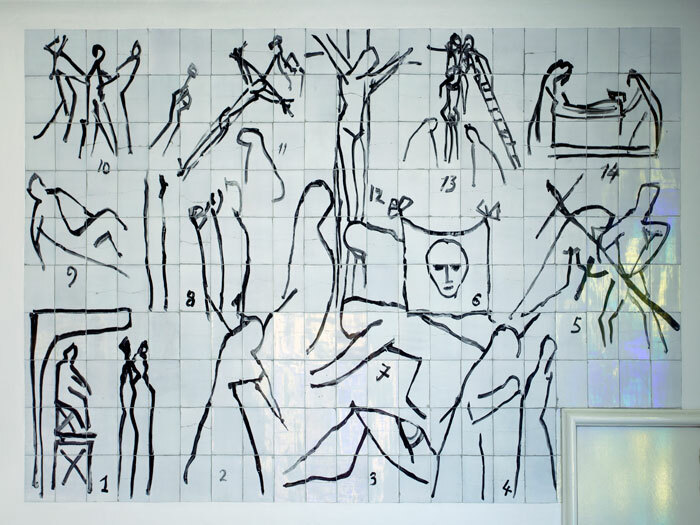 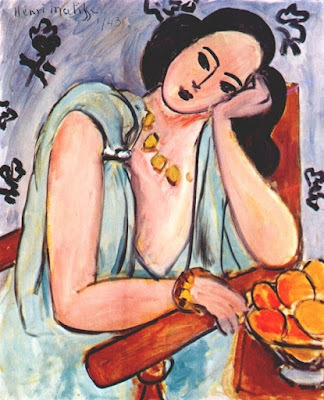 The raison d'être for the design and construction of the chapel begins in 1941 when Matisse developed cancer and after surgery was helped by a young nurse, Monique Bourgeois. 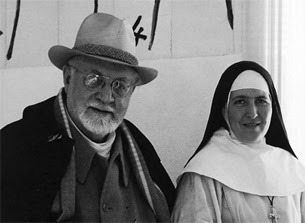 As their friendship developed and Matisse recovered he asked her to pose for him which she did for several drawings and paintings. 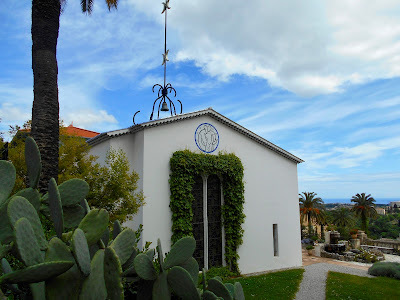 In 1943 she entered the Dominican convent in Vence and became Sister Jacques-Marie. 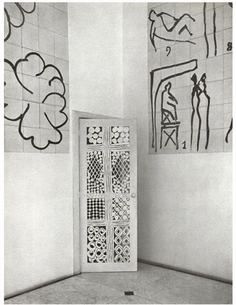 After Matisse moved to Vence the same year she told him of plans to build a chapel and asked if he would help with the design. 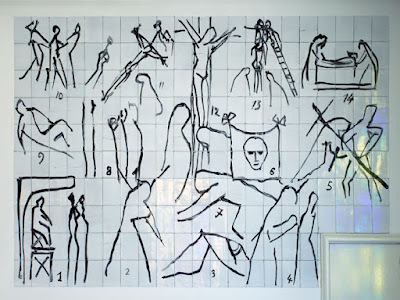 Although he had never done anything like this and was an atheist he agreed and began working on the project in 1947. 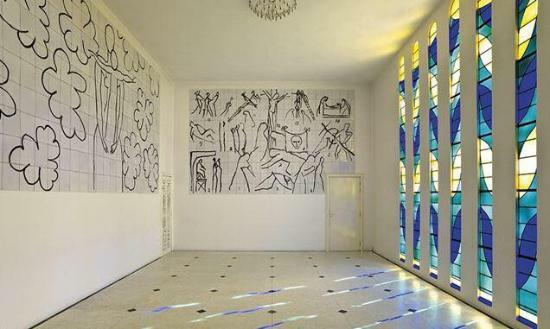 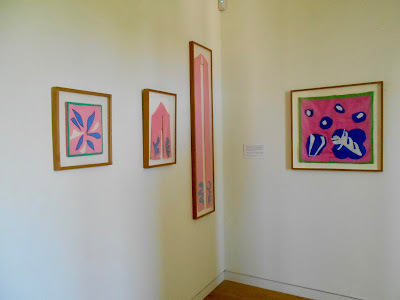 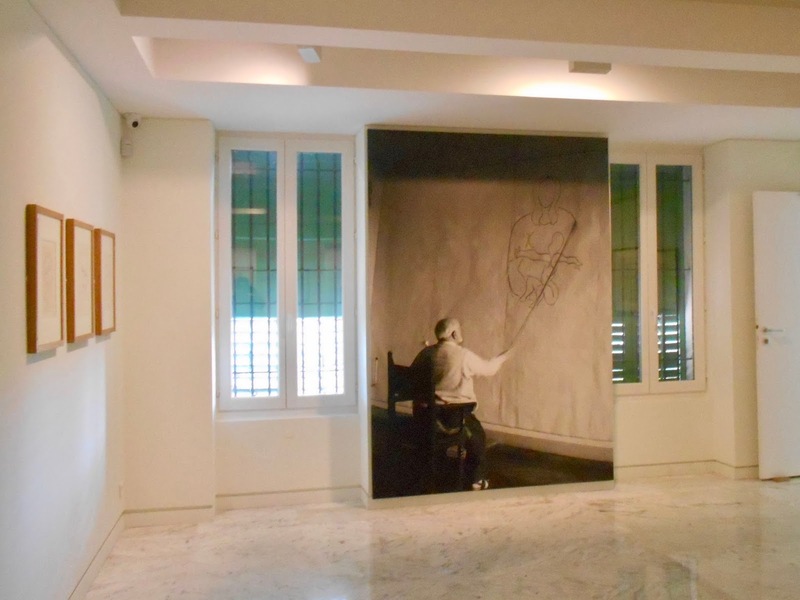 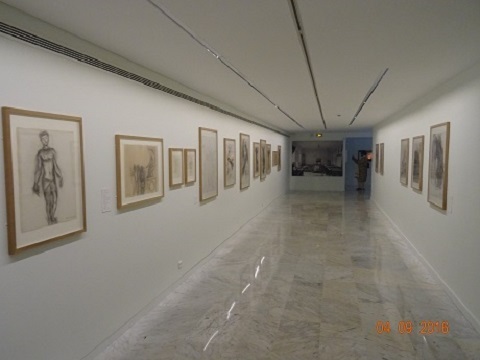 The display area of the museum is extensive and showcases what Matisse envisioned for the chapel. 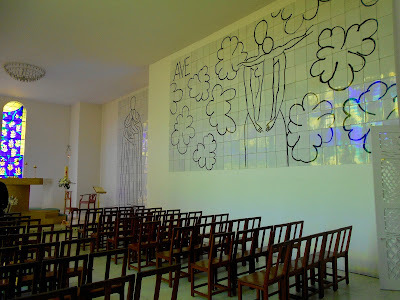 This included everything from the stained glass windows and three ceramic murals to the blue and white pattern on the roof to the gilded-bronze crucifix, the candles on the alter, the confessional door, three holy-water stoups and the patterns for the priest's chasubles. 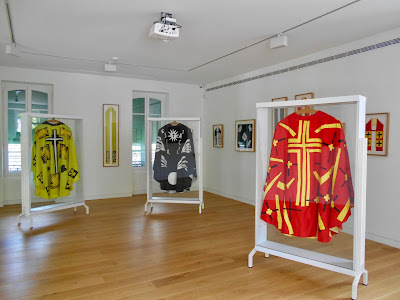 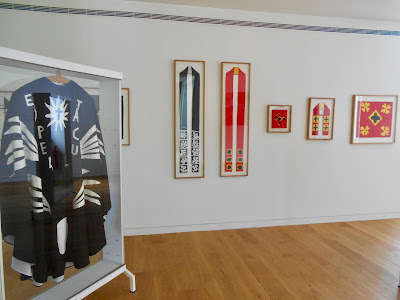 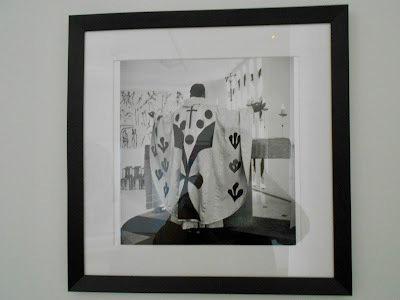 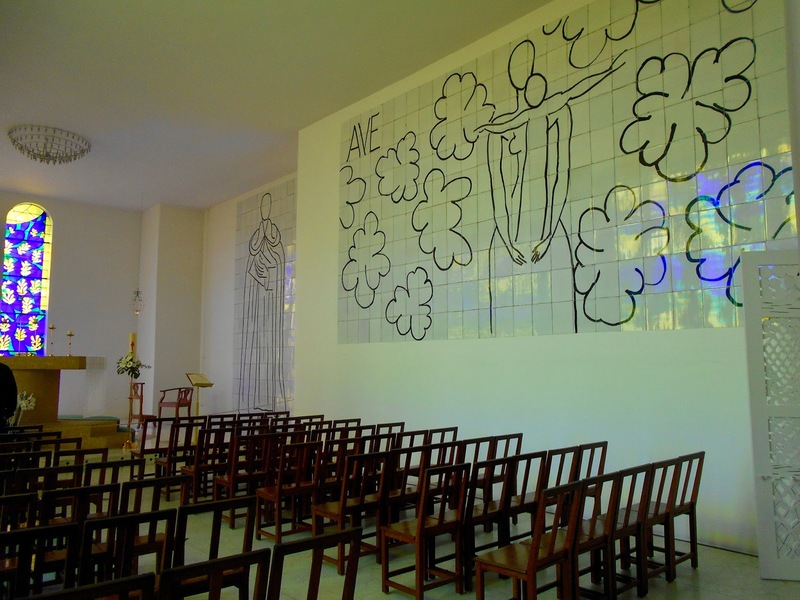 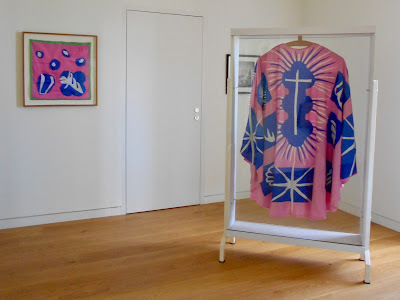 Matisse designed every aspect of the chapel, including the vestments. 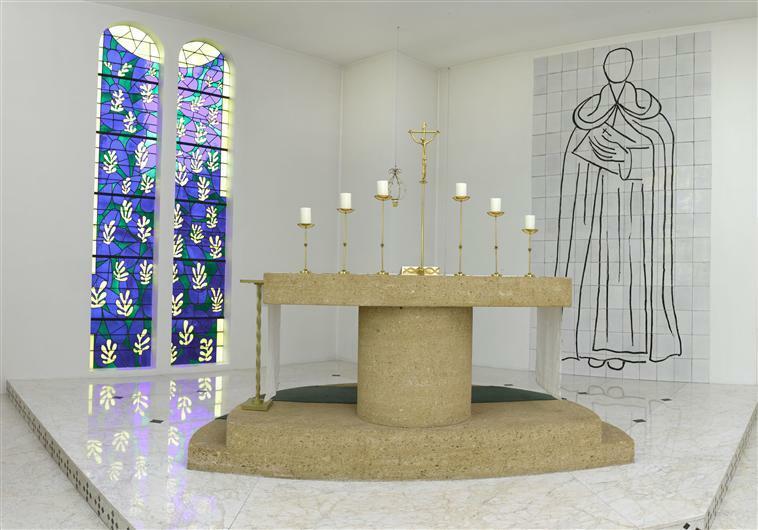 The simplicity of the chapel is a stark contrast to the intricate interiors of many Catholic churches. 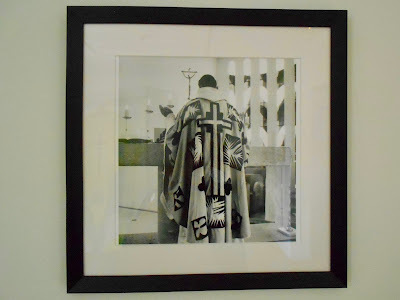 Except for the outline there is not a shard of colour. 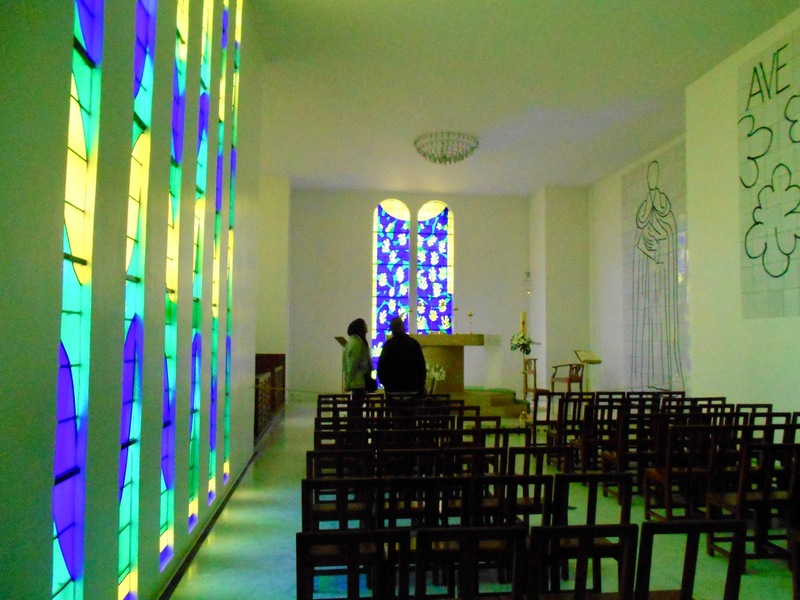 It was Matisse's intention that the reflection of the stain glass windows would project colour onto "Saint Dominique", "The Virgin Mary and Child" and the "Stations of the Cross". 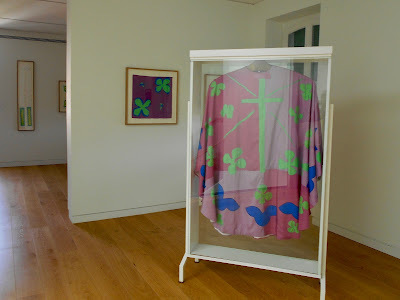 Final notes - the cost of admission is pricey at 7€ per person and photographs are allowed in the museum, but not the chapel. 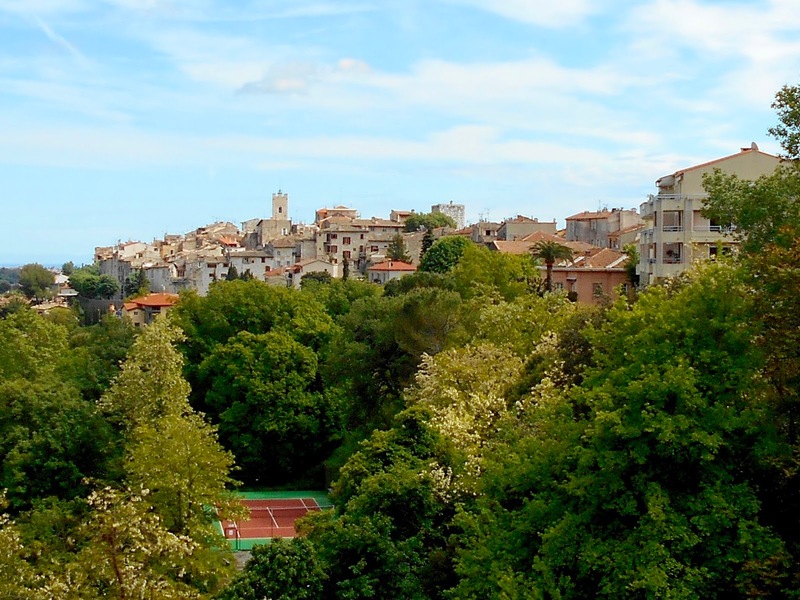 Opening hours are somewhat limited and vary with the season. Still, a visit to the Chapelle du Rosaire is a must while in Vence, especially if Matisse is a favourite artist.